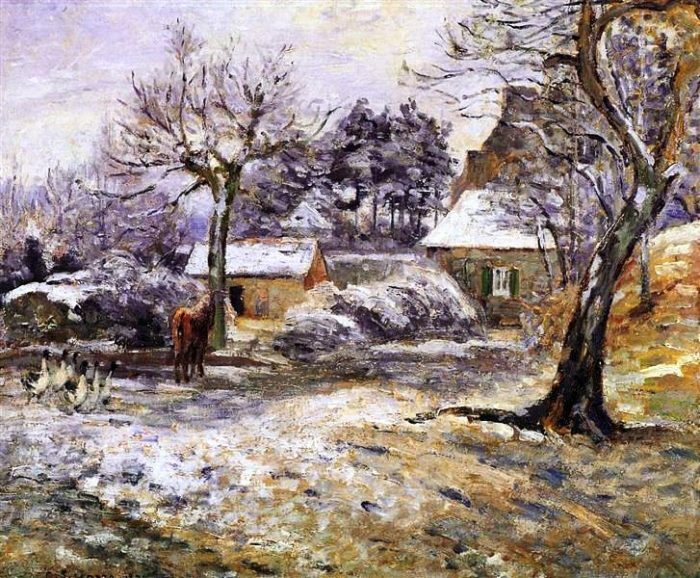 “Snow at Montfoucault,” Camille Pissarro, 1874, WikiArt. Warm sunrise, wind slowly wore away. Thanks for reading this windy worded poem.